Since the 1960s, mining and its consequences have become heated issues of public debate and legislative reform. By the mid-1970s, a number of industry hard-liners were still clinging to nineteenth-century values, but many more were accepting the legacy of mining's past and were beginning to integrate preservation and reclamation into their plans. The history of mining is replete with controversy, much of it relating to environmental damage and consequent community outrage. Over recent decades there has been increasing pressure to improve the environmental and social performance of mining operations, particularly in developing countries. The industry has responded by embracing the ideals of corporate social responsibility. 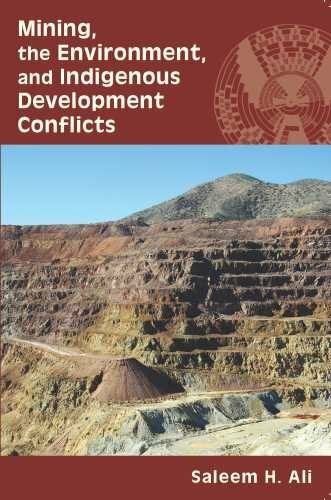 This book identifies and discusses the wide range of social and environmental issues pertaining to mining, with particular reference to mining in developing countries from where many of the project examples and case studies have been selected. 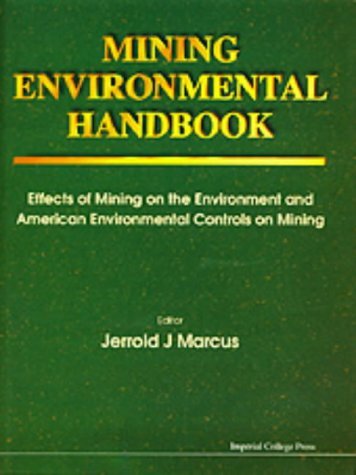 Following an introductory overview of the issues of concern, the book illustrates how environmental impact assessment as defined in "The Equator Principles", integrates with the mining lifecycle, and how environmental assessment aims to eliminate the negative and to accentuate the positive mining impacts. 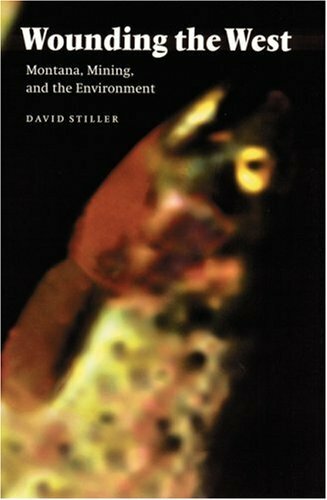 The text illustrates the wide range of environmental and social concerns and opportunities. Practical approaches are provided to manage issues ranging from land acquisition and resettlement or indigenous peoples issues, through the technical aspects of acid rock drainage and mine waste management, to a thorough analysis of ways and means of sharing mining benefits with host communities so that these benefits are not transitory, allowing mining to become a sustainable economic activity. The wide coverage of issues raised illustrated by many real-life case studies, makes this practice-oriented book a reference and key reading for operators in the field, as well as for environmental consultants, regulators, and students. This book will also be of interest to environmental personnel in the oil & gas industry as much of the subject matter applies to the extractive industries as a whole. 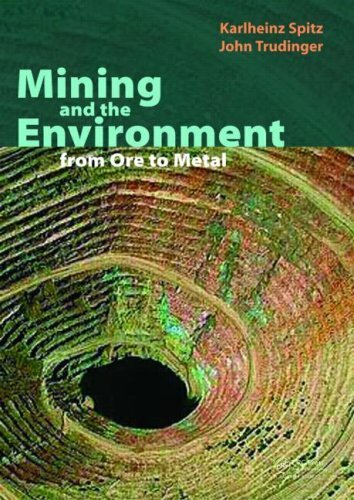 The book `Mining and the Environment' is a must for any engineer and scientist working in the mining industry, in particular to those in mine development, i.e. from ore to metal. 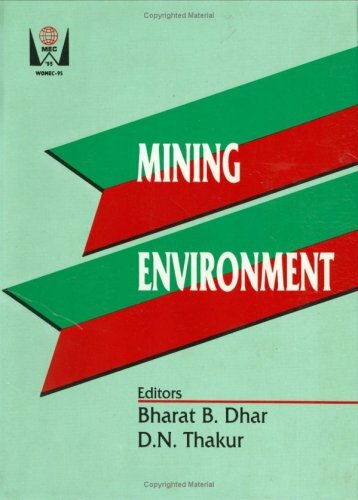 Teachers in mining development, in environment and in ecology will find this textbook an excellent source of information for environmental impact assessment, tailings disposal, acid mine drainage, environmental management, monitoring, the definition of a baseline, evaluating impacts, mine site rehabilitation, etc. · presents a step-by-by step approach to establish an environmental impact assessment: when it is required, the procedure, the management, the environmental baseline, the monitoring, etc. The book layout is in itself a piece of art. It includes numerous photos, figures and tables that help to understand complex concepts. There is more. 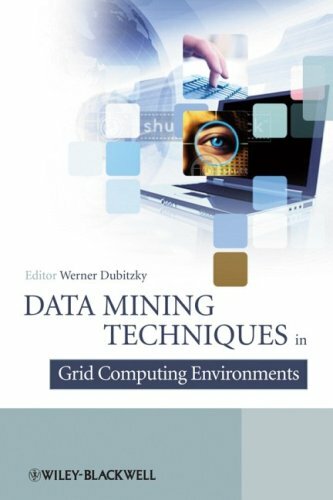 It contains worldwide pertinent examples on various aspects related to mining and the environment. Switching off the pumps of a mine is one of the last steps in the lifetime of a surface or underground mine. As the water in the open space raises, the water might become contaminated with different pollutants and eventually starts to flow in the open voids. 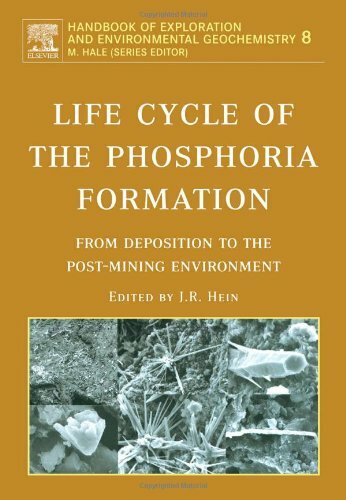 This book addresses the processes related to mine abandonment from a hydrogeological perspective. After an introduction to the relevant hydrogeochemical processes the book gives detailed information about mine closure procedures. Based on in-situ measurements the hydrodynamic processes in a flooded mine are described and some of the mine closure flow models exemplified. As all investigations base on precise data, the book gives some key issues of monitoring and sampling, especially flow monitoring. 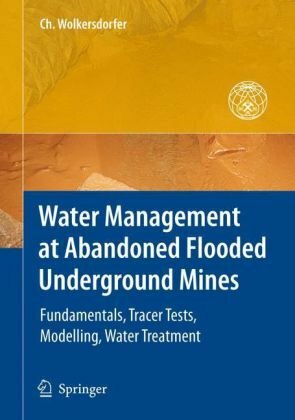 Then the book shows some new methodologies for conducting tracer tests in flooded mines and gives some hints to passive mine water treatment. At the end 13 well investigated case studies of flooded underground mine and mine water tracer tests are described and interpreted from a hydrodynamic point of view. Many domains feature a dynamic characteristic like logistics, sports, or medicine and it would be useful to learn about frequent patterns, e.g., in what situations a traffic jam is likely to happen. Additionally, we are facing complex situations with many objects and relations that might change over time. 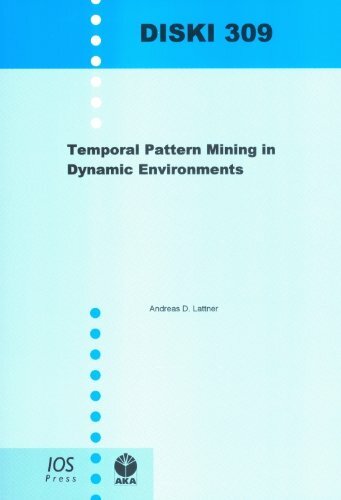 The learning approach developed in this work identifies frequent temporal patterns out of qualitative, interval-based descriptions of dynamic scenes by extending the Apriori algorithm and combining ideas from relational as well as sequential association rule mining approaches. Temporal relations in patterns are represented by qualitative interval relations as they have been introduced by Allen and Freksa. The search for frequent patterns is a top-down approach starting by the most general (empty) pattern and performing specialization steps by applying an optimal refinement operator. In a second step, prediction rules are generated by splitting the identified patterns into precondition and consequence parts. The developed concepts are implemented in the MiTemP system and are evaluated on synthetic data and soccer matches of the RoboCup simulation league. Federal policy toward hardrock mining remains largely unchanged since the passage of the General Mining Law of 1872. That legislation was originally intended to promote settlement and economic development of the American West. A century and a quarter later, the region no longer requires congressional coddling, yet more than half a million mines and mill sites remain abandoned throughout the western states. These sites have created 180,000 acres of polluted lakes and reservoirs and 12,000 miles of contaminated streams and rivers. Montana’s Blackfoot River, made famous by Norman Maclean’s A River Runs through It, is one such battered body of water. Not only did the 1872 law essentially give the land and minerals to miners and mining companies—and it continues to do so today—the law also required no mine reclamation or water quality protection. State mining laws likewise required little or no reclamation. Wounding the West traces the role of hardrock mining and its relationship with the American West by following the environmental history of one Montana mine, the Mike Horse, from its 1898 discovery, through its heyday in the 1940s, subsequent abandonment, and eventual cleanup under the coercion of a state law that many would consider ill-suited for abandoned mines. David Stiller argues that taxpayers should treat mining companies like the for-profit enterprises they are and insist that the hardrock mining industry pay a fair royalty for extracted minerals and then put this funding to work correcting the industry’s worst historical abuses. Mr. Stiller has completed a formidable task in combining the corporate, regulatory, and environmental viewpoints of Montana's mining history.This book provides a solid technical understanding of hard-rock mining (and itsenvironmental aftermath) in Western Montana, yet it covers the historicaldevelopment, operation, and degradation of the area in human terms as well. 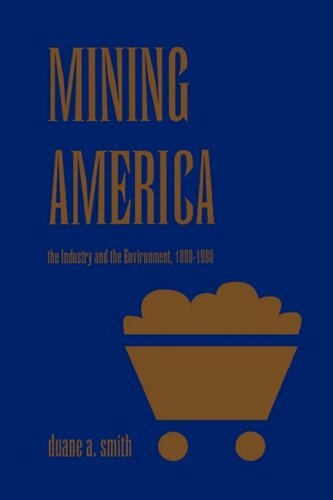 If you like the style of John McPhee, you'll appreciate this read.Justabout anyone with a general interest in Western U.S. history, economicgeology, or environmental policy as it applies to federal mining law, stateregulation, or environmental remediation should appreciate Stiller's prose. I imagine that many similar texts could be written about numerouslocalities in Wyoming, Colorado, Arizona, Utah, Nevada, California, etc. But, as a geologist myself, I also hope that this book will bring home someof the reality of mining's impacts in a country that so voraciously demands(and wastes) the finite resources of our earth. Author Dave Stiller's book about hard-rock mining in Montana is a storyfull of the history of men's migration to the west to find their fortune inthe elusive mountains and hills of mineral ores. At the same time it iswell tempered to lead us through the often colorful federal and statepolitical scene that played such an important part in mining development.It is also about mining's true risks, rewards, frustrations, and as wellabout good old-fashioned work ethic. It is one fine read. The major theme of the International Biohydrometallurgy SymposiumIBS-99 'Biohydrometallurgy and the Environment toward the mining of the 21st Century', held in El Escorial (Spain) from 20-23 June 1999, is biohydrometallurgy and the environment since it is predicted that in the coming century biotechnology will make its greatest contribution in this area. 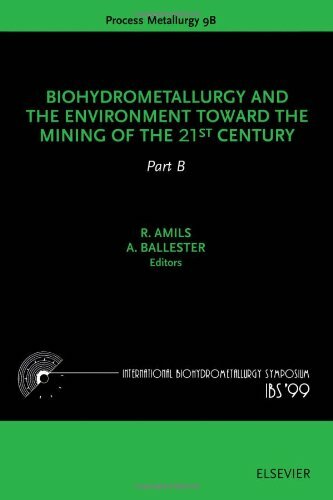 From the papers in these volumes it is clear that environmental issues are already of great interest to the biohydrometallurgical community. Although all the classical biohydrometallurgical topics - e.g. bioleaching, microbiology, molecular biology, biosorption, bioremediation - are addressed, the continued emphasis is on the environmentally friendly aspects of the biotechnologies used. Given the interdisciplinary nature of the field, biologists, hydrometallurgists, geologists, chemists, physicists and engineers should be interested in this collection of papers which discuss the future trends in biohydrometallurgy. This book presents the results from the Uranium Mining and Hydrogeology Congress held in September 2005, in Freiberg, Germany. 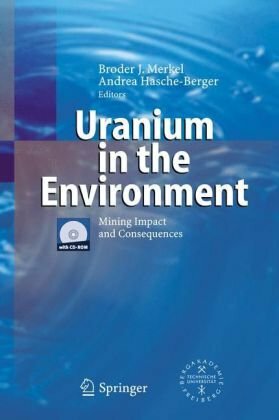 It addresses scientists and engineers involved in the areas of uranium mining and milling sites, clean-up measures, emissions of nuclear power plants and radioactive waste disposal, as well as political decision-makers.